Veteran sound mixer Wes Cavalier shows you how to mix and record professional location sound right into any digital video camera. Whether you're shooting weddings, television commercials or anything else, you're going to need this video if you want to get the best sound possible. Learn both the equipment you'll need and step-by-step the techniques and tricks you'll need for mixing and recording the best possible location sound-- feeding it right into your digital video camera. Wes Cavalier has worked as a professional location sound mixer for more than twenty- five years, mixing for feature motion pictures, documentaries, television commercials, industrial productions, talk shows, net work news and sports programs, and more. His supreme dedication to the art of sound recording led him to share his knowledge and experience with students and others through his popular series of lectures. 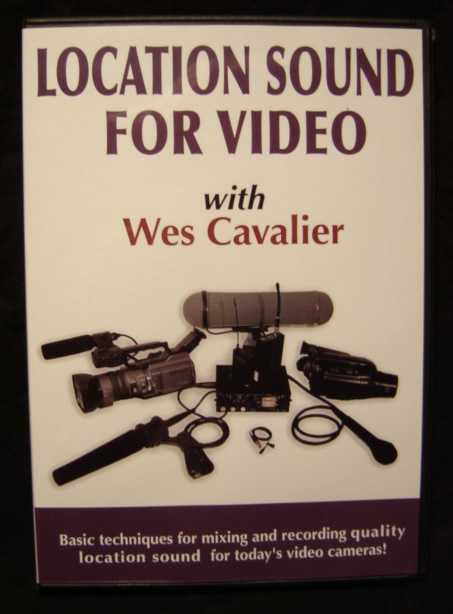 Now you can share that same knowledge and experience when you own Wes Cavalier's 'Location Sound for Video' DVD. Wes really nails it down for you, showing you how to record and mix location sound to your DV camera in clear, concise and straight forward terms that anyone can understand. How can you pass it up? Order yours today. 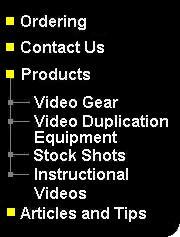 Copyright © 2010 by Sign Video, Ltd.